Inspector General North Kashmir Nitish Kumar said that some disturbing elements in Jammu and Kashmir are manipulating youth's minds to turn them into terrorists. "Some parents approached us saying that their children are going towards wrongful things. Through social media, some of the disturbing elements are manipulating the youth's minds in different parts of Valley and trying to turn them into terrorists. With the help of responsible parents and leaders, we brought youth back and have sent them for counseling," he said during a press conference. On June 29, the state police thwarted a young Kashmiri boy's plan to become a militant. 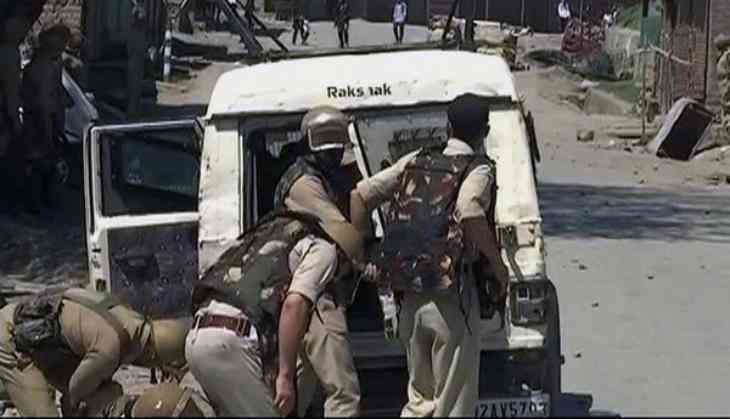 A Police naka party in Baramulla district's Uri stopped 14-year-old Mohammad Qadeer Lone from crossing the Line of Control (LoC). During the interrogation, Lone told the police that he wanted to cross the LoC to get arms training in Pakistan Occupied Kashmir (PoK) to become a militant. He is a student of Eagle English Medium Public School Bomai Sopore and a resident of Naidkhai, Sumbal. On April 23, the Jammu and Kashmir Police arrested a young man from Budgam in case of a 'rumour-mongering' using social networking websites. Internet service suspension is normally the first step take by the state government during a situation of unrest, in order to contain rumours and messages of incitement. Sushant Singh Rajput unable to find the leading lady? READ NEXT >> Sushant Singh Rajput unable to find the leading lady?